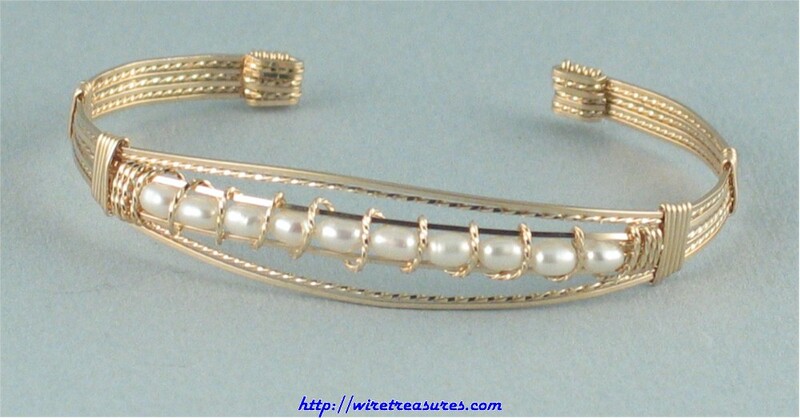 Ten dainty Freshwater Pearls laced with and surrounded by 14K Gold Filled wire make for a stunning bracelet! Easy to put on and remove, this beauty will look fantastic at any time of day or night. This will make a perfect gift for your Special Someone! You are visitor number 7,095 to this page.